Annika performed on Show 234, recorded in May 2011, at age 16. Annika Jenkins (violin), 16, comes from Virginia Beach, VA and is a scholarship student at The Juilliard School’s Pre-College Division in New York City. She is a student of Shirley Givens, and studies conducting under George Stelluto. Annika has performed as a featured guest soloist in 25 concerts with 15 orchestras, both professional and community ensembles. 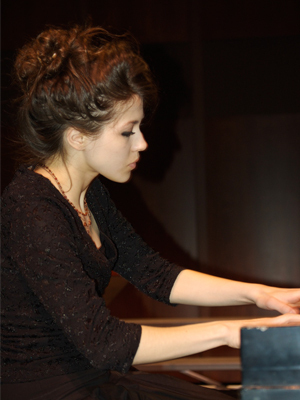 She has won numerous awards, including the 2010 First Place Instrumentalist Winner in the 40th Annual Richmond Symphony Concerto Competition, and First Prize in the 2010 Richmond Philharmonic Concerto Competition. Outside of music, Annika is active in arts advocacy and Girl Scouts, and enjoys cooking with her grandma and hanging out with her friends.